If you need to pay through mail(check or cash) e-mail us and we will take care of your order that way. 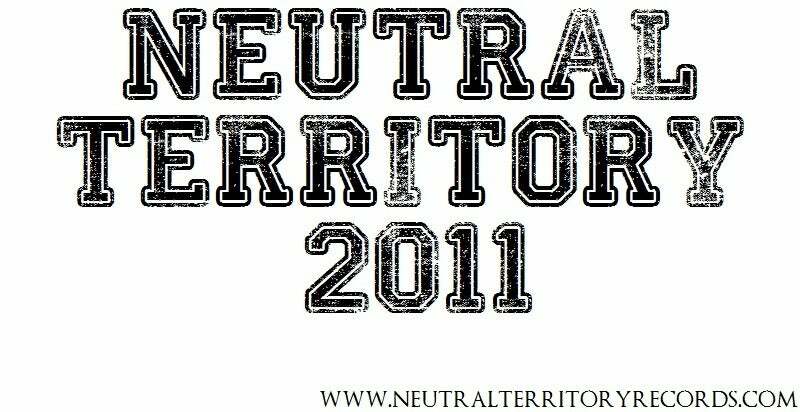 Yes, Please contact us at neutralterritoryrec@gmail.com for information on ordering with check, money order or even cash. I ordered something "X" amount of days ago, where it is? We appreciate your order, but please understand we are small label and have full time lives outside this label. We try our best to get your order out within 2 days of purchase. Where is my Pre Order? Please keep in mind, you ordered a PRE order. When we launch our pre orders it means we could be anywhere in the process of creating a release. Usually, test presses have been approved and we are waiting for the plant to create and ship the records. Some cases we launch a little earlier than that. Please be patient and check here, our myspace or the website for current updates on your order. I got my package today, such and such is damaged! What do I do? If your product comes to you damaged, please let us know ASAP. We want you to be satisfied with your experience from NTR. We are always willing to work something out. It been a month and I have no package, What do I do? Please give any orders at least 2 weeks to arrive to you(3 weeks if it has to go over the sea). If you still have no order, contact us with your Name and Address and we will go from there.